Do you believe in love at first sight? I do. I witness it every time a new family lays eyes on their baby for the first time. I love what I do. I love being part of this miracle, of being invited to participate in the first moments that you have together. I love seeing your love, your joy, your strength, your determination. It has been another wonderful year of serving families through Empowered Birthing. It has been my privilege to serve eleven families through their birthing journey in 2015, and another three families this year. 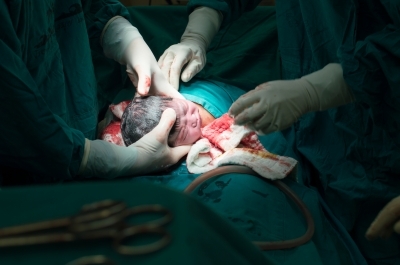 I have witnessed a great variety of births: VBACs, twins, hospital births and out-of-hospital births, cesarean births, natural births, marathon births, and fast intense births. But in each one, I have seen mothers calling on their deepest strength to bring their babies into the world. Through each birth, I learn more about the wonderful process of birth. I have also had the opportunity to expand my learning in more formal ways in order to expand the services I provide. In the summer, I completed my training as a Go Diaper Free Certified Coach. Through this program, I solidified my interest and learning about Elimination Communication (aka infant potty training). I have started a monthly support group for families practicing EC, and I am available for private consults as well. If you are interested in knowing more about this, I would love to share more. One of the most valuable workshops I have been able to attend was with Spinning Babies, which teaches us how to support optimal fetal position for easier and faster births. It really has revolutionized my doula practice. I was also able to attend a training with Susan Steffes, a specialist in women’s pelvic physical therapy, where we learned many ways to support women’s pelvic health through pregnancy, birth, and postpartum. I was also able to learn more about Postpartum Mood Disorders through a workshop with Postpartum Health Alliance of Central Texas. And just last month, I embarked on my recertification process with DTI (Doula Training International) as a birth and postpartum doula. I am very excited about my new connection with DTI, which more closely aligns with my philosophy. They are strong advocates for improving the maternity care system and for women’s (and doulas) autonomy, and committed to fostering a strong sense of community. I am happy to be affiliated with this organization, and I look forward to growing with them. I am also excited to begin expanding my postpartum services. I love the work that I do, and it has been an honor to support each and every family that I serve. I really pour my heart into helping you achieve the best birth possible. I hope that you will share the love and consider writing a testimonial about your experience with me and by sharing with your friends about my services. Please keep in touch. It is always a pleasure to hear from you, see pictures of your babies, and help you with any parenting questions you may have. You are welcome to follow me on Facebook, both personally and my business page at https://www.facebook.com/Empoweredbirthingaustin/. Happy Valentines Day! May you and your family be blessed with an abundance of love!